The galouti kebab was finally in front of us. 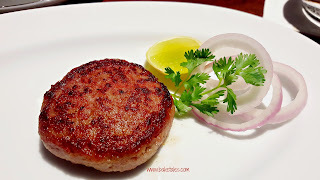 Hot off the tawa, the light pink lamb patty had a slightly reddish, crisp crust. A fork was all that was needed to tease apart a small piece and it melted in the mouth. Chef Rehman had incorporated quite a number of other ingredients into it (the list can go up to way over 100, I learnt) but as he explained, the hallmark of a good Lucknowi dish is the right balance of ingredients. Well, none of us were toothless that night and it was the clearly the winning dish of the evening. 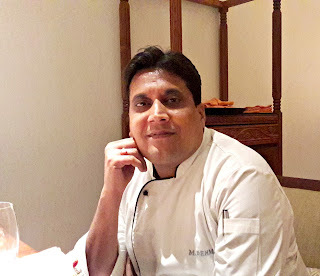 Chef Rehman is descended from a family of khansamas; with more than 15 years of experience, no cooking school has taught this knowledgeable chef the nuances and intricacies of royal Awadhi cuisine. He and his partner run Kitchenett-E-Awadh, specialising in Kashmiri, Rampuri, Hyderabadi, Awadhi and North-West Frontier cuisines. He is also developing an entirely vegetarian menu to show that this cuisine, while maintaining its authenticity, need not necessarily be a meat-based one. His clientele includes industrialists and Bollywood stars, yet he was humble enough to ask us for feedback about the food at the end of the meal. At the 10 day Dawaat E Lucknow festival at Park Hyatt Chennai, the chef is showcasing some of the best recipes in his repertoire. We were invited for a tasting session and I quite liked the menu he had prepared for us - varied yet not heavy. 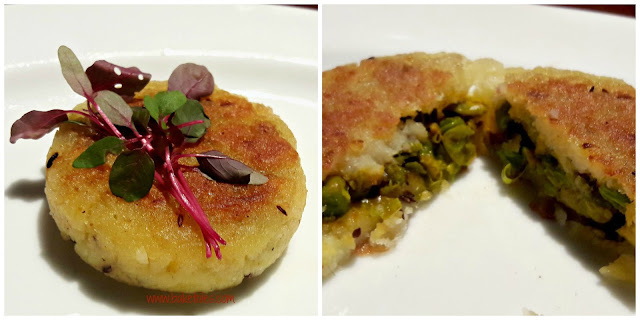 Chowk ki-tikki was a potato patty stuffed with green pea masala. The grated potato added texture, along with shah jeera and desiccated coconut, quite a change from the usual mashed tuber covering. A bit of mint chutney was all it needed to elevate it to the next level. 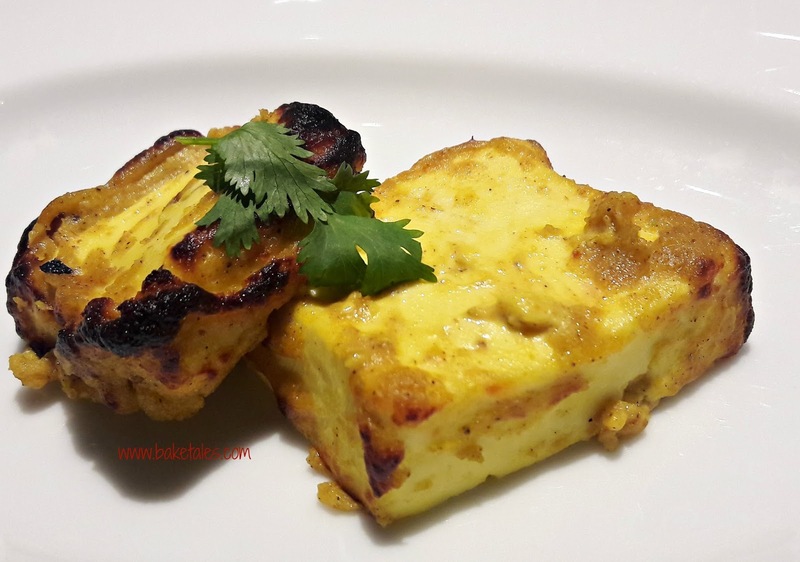 Paneer peeli mirch tikka was a yellow fellow. The cottage cheese squares were soft, slightly charred around the edges which gave it a smoky aftertaste and there were bits of heat from the yellow chilli powder. 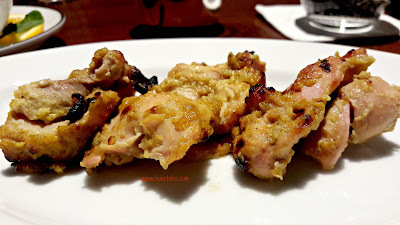 Murgh tikka mirza hasnu comprised of super tender pieces of chicken marinated in a number of spices and ingredients and grilled to perfection, yet the meat was moist. What was amazing was that again, no one ingredient stood out, rather they blended together perfectly. 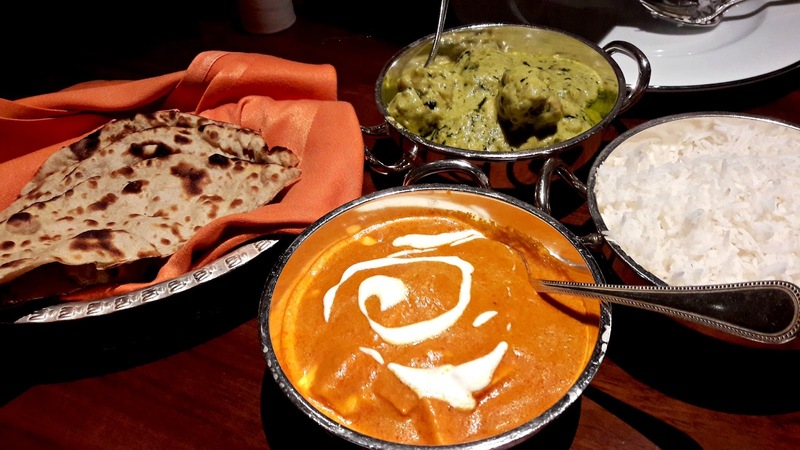 Our main course was lagan ka murgh and nawabi paneer kurma. While the latter was ordinary, a little too tangy for me, the chicken was simply delightful. The meat was tender and the gravy had been thickened with cashewnut paste. Flecks of green from fenugreek leaves only added to the beautiful blend of spices and pastes and the comforting flavour of ghee was soul satisfying. Perhaps this is blasphemy but I would have loved it even more if the meat was boneless. Plain steamed rice and tandoori rotis were the accompaniments. 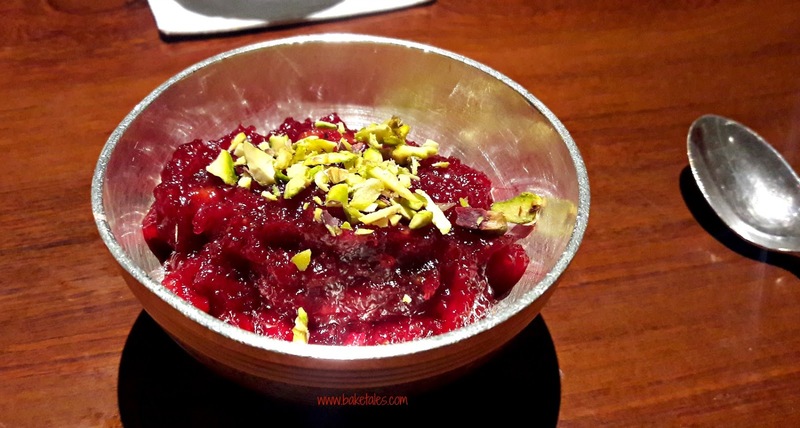 Dessert was chukander-e-afroz, otherwise known as beetroot halwa. Served warm, I liked that the beetroot had not been cooked to death; it still had plenty of bite and the chunks of pistachios and desiccated coconut added body to an otherwise simple dish. Dawat E Lucknow is on from 14th to 23rd October at The Dining Room, Park Hyatt Chennai. Lunch buffet is priced at 1250/++, dinner buffet at 1450/++ where guests can have the experience of dining like the royals. A la carte is also on offer. For reservations, do call 044 71771234/ 044 7177 1305.